With our restorative dentistry options, the experienced and dedicated team at Distinctive Dentistry can repair the smiles of you and your family. Let us rebuild your smile with one of our restorative dentistry services: fillings, full-mouth reconstruction, root canal therapy, crown and bridgework, dental implants, and dentures and partials. Sometimes the nerve of a tooth becomes infected—or worse, abscessed. If this is the case, we usually recommend the restorative dentistry option of root canal therapy. We always want to save the tooth. Once a root canal is performed, the tooth is filled and crowned to preserve it. We place crowns for many reasons: to cover damaged or discolored teeth; to cap a tooth that’s had a root canal; or to strengthen weakened teeth. There are different types of crowns including natural-looking porcelain crowns. The one we choose for you will depend on your specific needs. 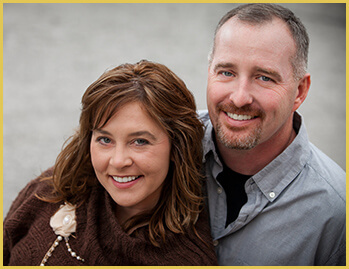 Distinctive Dentistry has been providing comprehensive restorative dentistry for more than thirty years. We proudly offer quality dental care to patients living in Dallas, Hiram, Douglasville, Rockmart, Powder Springs, Acworth, Villa Rica, Temple, Marietta, and Kennesaw. Call us today to schedule your appointment.